I can't say I disagree outright with anything he has to say, actually. But I do have some things to add (of course). First, the S60 UI is definitely reaching the end of its lifespan. 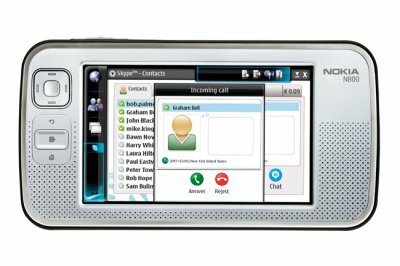 It was designed years ago for a completely different set of hardware, with a smaller screen resolution and form factor, building upon a the success of the Navikey interface (which had propelled Nokia to worldwide dominance), creating much of the now standard Smart Phone UI and functionality out of whole cloth. Since its inception, it's been expanded upon considerably, and now is starting to show the signs of its age and the weight of so many tweaks. Apple got to see and use the S60 interface of course, and improve from there (both have a home menu key, dedicated multi-function power button, etc. ), so comparing the two isn't exactly fair. That said, it's time for Nokia to scrap that interface and launch their next big thing - and anyone inside that company who's afraid of throwing all that work out the window, obviously hasn't learned the lessons from the past: Nokia won a HUGE number of followers because of the design and ease of use of their phones. Once you get a reputation for a hard to use phone, massive drops in sales follow, as well as the inverse. It's time for a leap forward in usability from Nokia - it's what they're known for, after all. This isn't to say that Nokia should clone the iPhone, as it's hardly perfect. Not only are common things already sort of pain to accomplish (like making a phone call! ), but it'll be interesting to see how well the iPhone's interface scales once there are more applications than can fit on the home screen. And though I like nice clean interfaces, more options and features would have been good in a lot of places - the camera app as a primary example. But Nokia can't sit back and try to fix the S60 interface either - it just has too many hold overs based on limitations of past hardware. Time to embrace bigger screens, touch sensitive displays, more power, haptics, etc. with something completely new. Points 2 and 3 are mostly about the hardware and aesthetics. I'm not a hardware guy - but as Rui said, the e61 just *feels* nice - as did some of the metal backed S40 phones as well - thin and solid feeling, nice colors, etc. So it's not like Nokia doesn't have the capability to produce lustworthy gadgets. The choice of colors, etc. is just a matter of preference, and when you're shipping as many phones as Nokia, I'm sure there's lots of customers who want different things. They got rid of the wonky keypads, which is nice, and I haven't seen many phones with lights on the side or other gimmicks lately, which is good. But even Apple sold Neon Pink iPod minis for a time, so to each his own on that one. Point 4 is something I've written about before: Symbian had its chance to reach critical mass, and didn't. It may continue to gain developers and new phones, but they've hit the high water mark in terms of rate of adoption and units... From this point on, Symbian is going to be doing that slow fade into technological obscurity. Let me put it like this: Symbian is not a platform that any true innovators would ever base their ideas on going forward, and without innovation an OS is dead. Once Nokia moves on to something else, it'll quickly go away forever. And what would Nokia move to? Linux of course - as shown by their two outstanding web tablets the 770 and N800. The quicker Nokia starts moving that OS to their top-tier mobile phones, the better, IMHO. To Rui's point about the hardware on which Symbian is running - I know from chatting with those guys that as a rule, Nokia always ships the minimum power needed to run a specific device. It's cheaper for them that way, the batteries last longer, and 90% of the users don't care because they rarely use the devices for anything besides phone calls. Even so, the menus in many S60 phones lag like crazy, and even non-power users get annoyed. Nokia needs to stop warring with their suppliers and crank up the CPU speeds. This is more important than just providing faster devices - going back to the first point above, a GUIs responsiveness is as big a part of its appeal and usability as its design. And finally, the web browser. I honestly can't criticize Nokia at all on this point, because they've been out there pushing the mini-map browser, trying to get partners to design for it and help with the webkit project, and other efforts like developing a mobile widgets platform based on web standards (like Opera did), etc. Apple created a better browsing experience in the iPhone for sure, but hey, this is because that's what Apple does. Now Nokia needs to build on that and keep pushing, as the browser is definitely the next killer app for the mobile, IMHO. And again, a more broadly supported OS underneath like Linux would obviously help quite a bit.